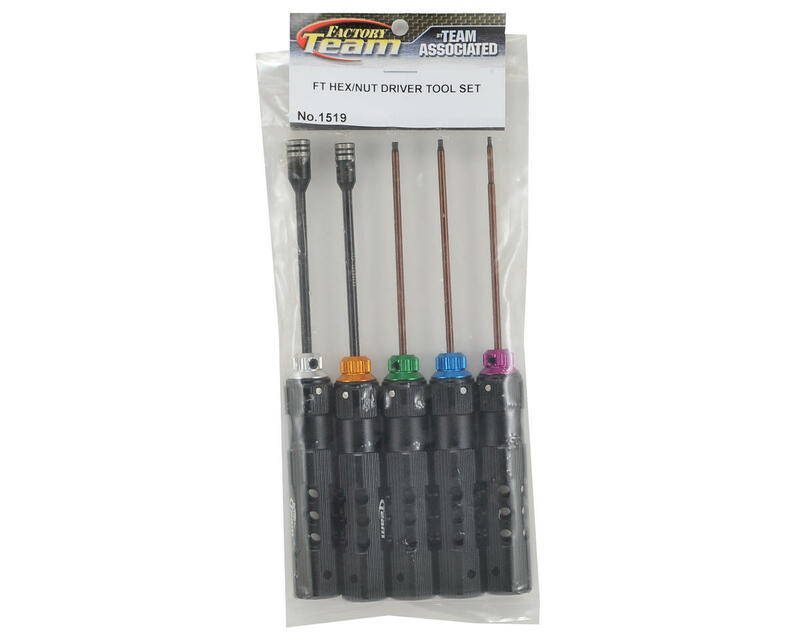 Team Associated Factory Team Tool Sets feature lightweight, color-coded handles that are easy to use, and easy to identify. 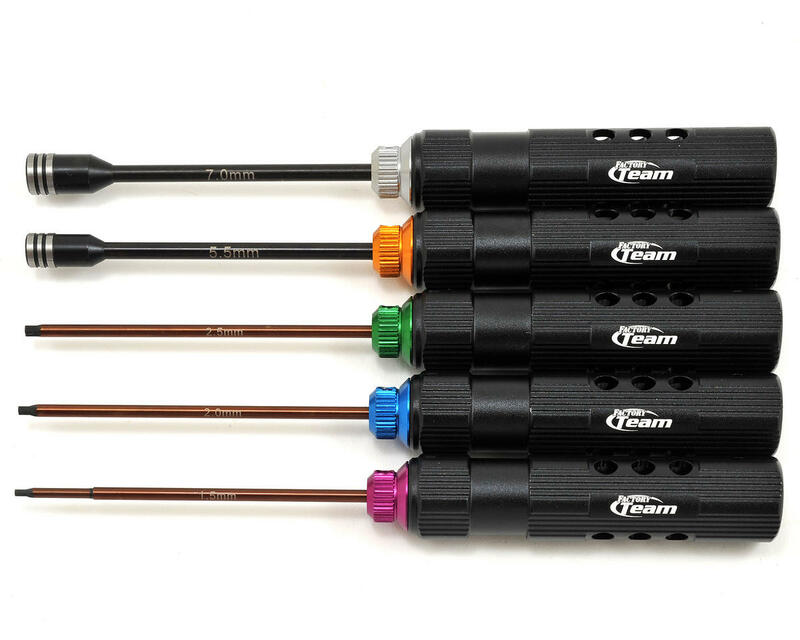 A wide variety of tips types and sizes allow you to handle all of the standard metric screw hardware in your car. Very lightweight. Using on my Associated 1/8 and 1/10 buggy builds. Love these! On my third car, go to local track once or twice a week after work to unwind. Always tinkering with my cars and trying new set ups. Still holding up strong over two years later. Best bang for your buck out there. Nice drivers, only issue i had with the smallest hex driver, it's not fit every same sized hex, that's why 4 stars. UPD: Changed to 3 starts. Tips are poor quality, 1.5 and 2.0 worn out faster then cheap tips from China.